As of yesterday 165 aspiring candidates had registered with the Election Commission to contest for 20 seats in the upcoming National Council election that will be held in May. Going by the figures maintained by the Election commission, Dagana dzongkhag has 25 aspiring candidates, the highest among the dzongkhags. Mongar dzongkhag has 16 candidates, Tsirang 13 candidates and Tashigang and Samdrup Jongkhar 11 candidates each. 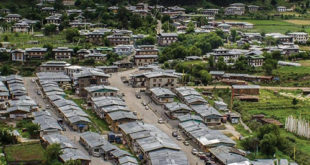 Pema Gatshel, Punakha and Sarpang has nine candidates, Lhuentse has 8 Thimphu, Samtse, and Trashi Yangtse has seven each, Chhukha, Paro, and Zhemgang has 6 each, Gasa has 5 candidates, Haa 4, Wangduephodrang 3, Trongsa 2, and Bumthang 1. Of the 165 registered candidates only 8 are women from 8 dzongkhags. There are no woman candidates from 12 dzongkhags. 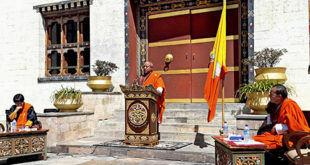 “With the National Council election just around the corner, we are carrying out various activities geared towards educating and raising awareness among voters as well as preparing and inspiring people to come forward and participate meaningfully in the upcoming elections as voters, candidates, representatives and election officers,” said an official from ECB. According to the ECB, the electoral materials are in the process of being procured and dispatched to the Dzongkhag Election Offices. “The ECB is also reviewing arrangements related to public debates, Human Resource deployment, polling stations, Media Arbitrator’s office, Public Election campaign fund etc. and finalizing various Rules, Regulations and Guidelines which will form the detailed legal context for electoral procedures and protocols,” said the official. The Election Commission of Bhutan has also been working on individual strategic action plans aimed at increasing voter turnout. Currently, ECB is carrying out training of the Election Dispute Settlement Members and conducting various sessions with the party Godenpas and Jabchorpars in all 20 Dzongkhags. The term of the incumbent National Council members will end on the 9th May this year and the new elected members join the following day on May 10. An estimated budget of Nu 250m has been allocated for the upcoming National Council election by the Election commission of Bhutan. The registered candidates are currently on familiarization tour in their respective dzongkhag. During the second parliamentary election in 2013, there were 40 NC candidates.